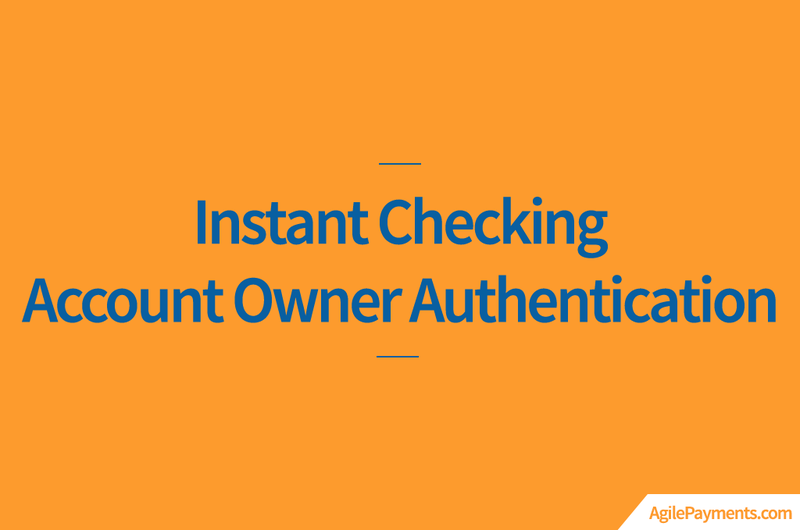 A Checking Account Owner Authentication Service (AOA) offers a new fraud mitigation tool that provides real-time insight into whether the person or business whose check payment your business wants to accept or enroll in a recurring billing plan. Consider an insurance company enrolling a new client. If they are not using a check verification service and Instant AOA what are the potential consequences? Imagine that the customer or business is who they say they are, but there is a data entry error or the client is intentionally using an account that has been closed, is in an NSF status or does not belong to them. are at fault for an accident that day, and a claim of $10,000 is made. The insurance company is obligated to pay out the claim, despite having yet to discover the checking account used to make the payment has no money, is closed account or did not belong to the insured. They have a substantial loss and potentially no way to recover the initial premium payment. It is more than likely that all of these issues [and more] would be discovered at the point of enrollment if the client was using an Instant Account Owner Authentication Service. For less than $1 per inquiry these risks can be significantly reduced. Instant AOA service also validates other data elements such as phone numbers, DOB, and drivers’ license numbers among others. There is no other service available today that matches and validates data against records held at the customers Financial Institution. Costs range from .80-$1.25 with higher volume clients getting custom quotes.